There is power in writing down goals and creating to-do lists. When you write down a goal you are far more inclined to achieve it. To-do lists help you achieve your goals because they allow you to break goals down into daily, manageable pieces. Creating a daily to-do list is the best way to prioritize daily activities and manage your time effectively, which ultimately helps you be more productive. Our Ultimate Blog Planner Kit is chuck-full of planning and goal setting tools to help you grow a successful blog. 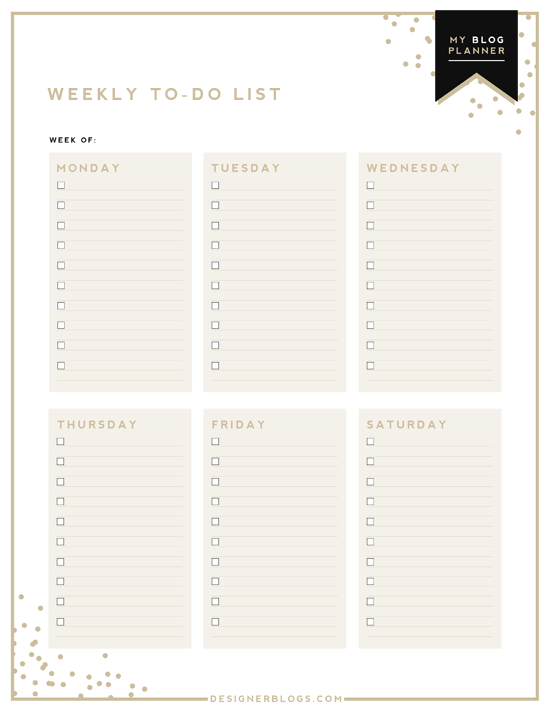 Today we have a to-do list add-on page that you can add to your blog planner. 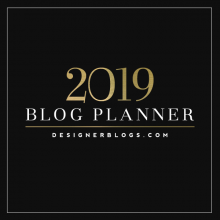 If you haven’t downloaded the blog planner yet, you can download it here. 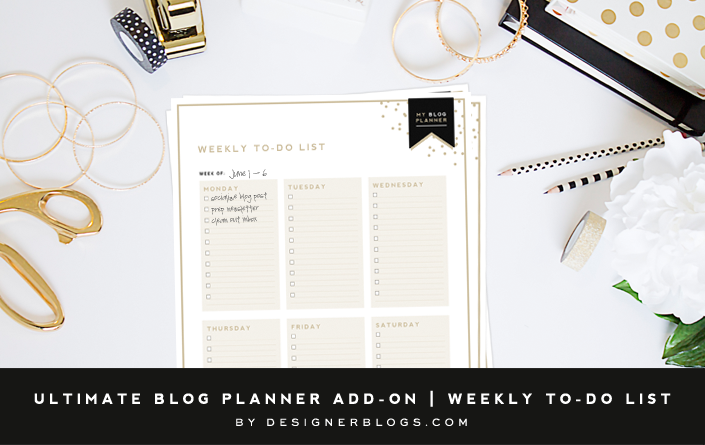 If you have any requests for additional planner pages that are not yet included in the blog planner kit, let us know in the comments! You have such class Erin! Every time I see a notification or update…which isn’t even often enough…I have to stop and read. your graphic style is like no other. It is a blessing just to gaze upon it. So glad you chose to share and grow your God given talents with us! Have an awesome day! And thank you for sharing so selflessly and graciously. This is probably what the doctored ordered for me to keep me disciplined and on my toes. Downloading it immediately and find out how effective or productive it makes me. We hope this helps your days be more productive Cathy. Thanks for your comment! Love the black and gold! 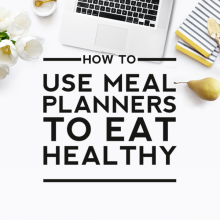 Do you have the same layout and design but for a generic home planner? Thanks Diane. No, this is the only planner we have available right now, but we will certainly consider designing a more generic home planner in the future. Thanks for the suggestion. 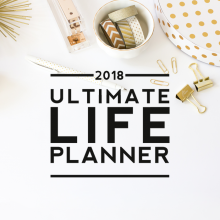 Hi, love the look of your life planner, what binder do you recommend that is available in Australia, this is all ne to me. I love your planners. I would pay double if you offered a dated version of them. Thanks for your suggestion! We will definitely think about that!